After four thrilling quarter final encounters the OFC Champions League is getting down to the nitty-gritty with the semi-final home-and-away dates, venues and kick-off times now confirmed. Team Wellington will meet Auckland City in an all-New Zealand semi-final, ruling out the opportunity for a repeat of the final for the three previous editions. Meanwhile an all-Melanesian semi-final will be played between Lautoka FC of Fiji and Marist FC of Solomon Islands. After seeing off Lae City Dwellers with a competition record-equalling 11-0 margin, which also set a new mark for the largest win in a knockout phase, Team Wellington have earned themselves the right to play the first leg of the semi-finals at home. They’ll take on domestic champions Auckland City, who took out the domestic Premiership grand final between the two sides with a 1-0 victory on April 1, at Dave Farrington Park on Sunday 22 April at 1pm. As mentioned, the two teams have met in the final of the last three editions of the OFC Champions League with Auckland yet to drop a match to their domestic counterparts in this competition to date. 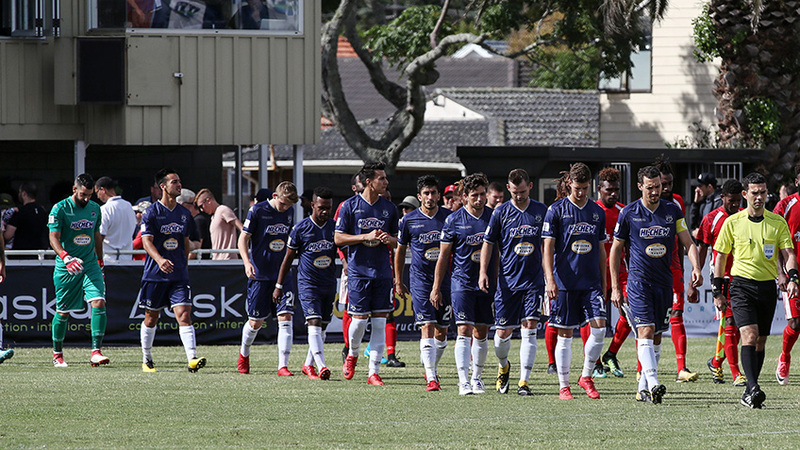 Auckland City will host the return leg at Kiwitea Street on Sunday 29 April from 12.30pm. The first leg of Semi-Final 2 between Lautoka and Marist will kick off at 3pm at Churchill Park in Lautoka, Fiji. The Fijian side outplayed AS Dragon in Papeete to claim their place in the semi-final for the first time in the club’s history thanks to a 2-1 victory. They will meet Marist FC who will also be making a semi-final debut after beating Nalkutan 2-1 in Port Vila. The return leg will be played on Sunday 29 April at Lawson Tama Stadium in Honiara, Solomon Islands from 2.30pm.